Alberta has changed the way pot shops order cannabis in an effort to make the process more fair for retailers who are struggling to keep shelves stocked. Alberta Gaming, Liquor and Cannabis has introduced a manual ordering system for retail store owners. On Mondays, all shops receive an updated sheet showing which cannabis products the province has in stock. They place their order within 24 hours and receive it on a specific day. This replaces the first-come, first-served online system. Retailers previously had to constantly monitor the AGLC's website. As soon as something was restocked, whichever retailer was online and watching could place their order, often depleting stock almost instantly. It worked similarly to Ticketmaster — some pot shops may have missed out on ordering the extremely limited amounts of cannabis if they didn't have the resources to constantly monitor the website. The new system evens the playing field, AGLC spokesperson Chara Goodings said. Smaller stores will have as much of an opportunity to buy cannabis as the bigger ones, and stock will be distributed more evenly. "Everyone will have an opportunity to have product. It may not be as much as they want or the SKUs (stock keeping unit) that they want, but at least everyone will have something," she said. "That's why we're doing it, is to make sure that everyone has a fair opportunity to get product." There are currently 65 licensed retail cannabis stores in Alberta, but not all of them have been able to open due to extreme shortages of cannabis available from the AGLC, the province's only wholesaler. Supply issues have plagued the province — and the entire country — since legalization last month. 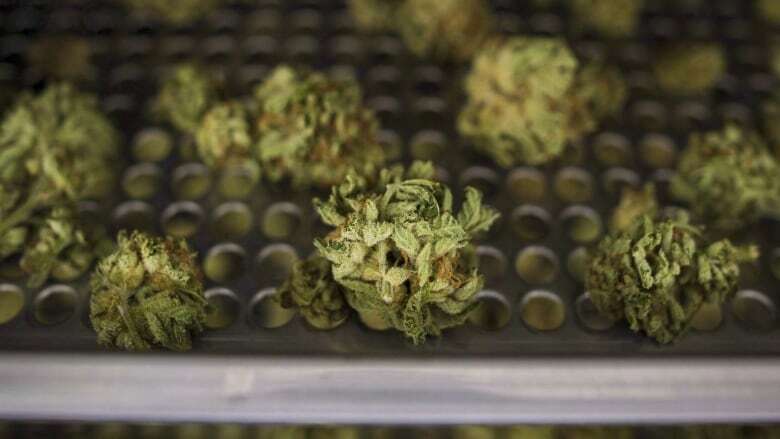 Goodings could not confirm exactly how much cannabis or which strains were available as of Wednesday for retailers to order, but said the supply remains very limited. For Albertans wanting to buy cannabis for themselves, only eight of 85 strains of dried flower were in stock Wednesday on albertacannabis.org. Goodings said the AGLC ordered enough cannabis from licensed producers to last an estimated six months but it received "significantly" less. "We have contacted every single licensed producer in Canada to see if we can secure even a minimal amount of product. And there is really just nothing extra to be had," she said. Nick McGahey opened Bud Runners Cannabis in Peace River on Tuesday. He got lucky with ordering on the previous system, he said. He opened his doors with 30 different products on shelves. To get that product, his business partner, Cody Gerk, was glued to his computer screen. "It was just being diligent online there and being on every hour, every day and just checking the product inventory," McGahey said. "Once he saw it was available, he'd pick it up and get as much as he could. It was just good timing." They sold out of one product their first day open and are running low on others already. McGahey said the new ordering system benefits smaller stores like his, even if they might not be able to get everything they ask for. "It's definitely good for us private guys that aren't the big chains, like Fire and Flower and Nova. We don't have the man power to be as diligent as they are and we don't have the supply agreements with the producers," he said. "I think it's a good thing. It'll definitely help even it out, because now we know how much inventory is in AGLC's warehouse and we're able to order based on that and then they divide that up. "What we order we might not get, but it just makes it a little more fair, a little more even." Goodings said this system will remain in place for the coming weeks or months until a significantly greater amount of stock becomes available. In the meantime, the AGLC continues to issue licences for retail cannabis stores. Goodings said this doesn't mean there will be enough product to stock them, but retailers are aware of that. "If there are more producers that get licensed through Health Canada that we are able to get product from, we might be able to revert back to the original process a lot sooner," she said. "If we continue in this state of this supply shortage, we don't know how long it will last for."